Australia is one of the most diverse and fascinating places to live in the world. 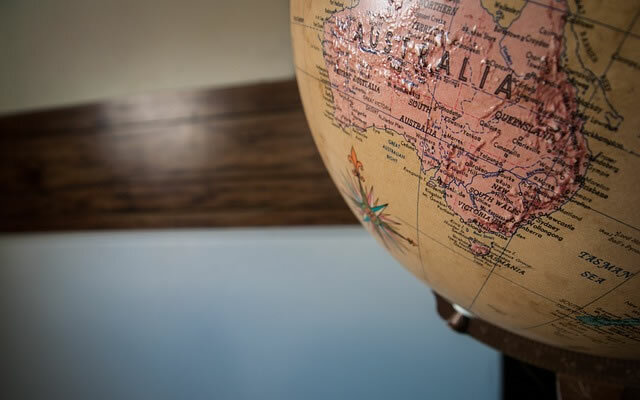 If you are in the process of relocating to Australia on a temporary or permanent basis, it is important to learn and understand the history of the country that you will be spending time in. What you will find as a result is a wonderful, yet diverse culture that has been developing all the way from 50,000 years ago to the present. Read the sections below to see important dates that form a basic timeline of Australia’s unique history and cultural traditions. One of the most underrepresented groups in Australia actually has been there the longest. The first Australians were the Aboriginal people that are believed to have arrived by boat to Australia roughly 50,000 years ago. When the Europeans first came to Australia, the Aboriginal people had at least 500 clans and spoke over 700 languages. In each of their cultural groups, the Aboriginal people were talented with painting, sculpture, and storytelling. They were also expert hunters and warriors. There is a movement to protect Aboriginal culture today and many unique cultural demonstrations and museums exist as a result. One of the best places to see remains of these cultures is to visit the Kakadu National Park in Northern Australia. The period when the British first arrived to Australia is one of the most famous. Australia was actually known as New Holland until 1770 when Captain James Cook explored the Eastern Coast and claimed it for Great Britain. Even today, this part of Australia has the strongest British influence. Another famous legend about this period of history is that the first British citizens brought to Australia were actually convicts. In fact, in total, the British transported at least 160,000 men and women who were convicts to Australia. Shortly after, free citizens began to arrive in Australia, which had a great effect on the Aboriginal people and reduced their population by significant numbers due to disease and crop devastation. After many of the convicts had finished their sentence, they were freed in Australia and given lands by the government. Many of these convicts viewed this as an opportunity for a fresh start and became quite successful farmers. Soldiers were also given lands that began to be successful farms as well. These farmers began to explore deeper into the continent, which further disrupted the Aboriginal cultures. As a result, rumors began to circulate in Britain about how affordable Australia was, which made more people immigrate. In 1825, migration spread out to establish famous cities such as: Melbourne, Adelaide, Brisbane, and Perth. The discovery of gold in New South Wales and Victoria in 1851 created an immigration wave and internal migration that would change Australia forever. This is the first time when Chinese immigrants began to arrive in Australia for wealth opportunities. Even today, Australia still has a strong relationship with China. In addition to Chinese immigrants, many liquor sells and entertainers arrived to Australia during this time hoping to capitalize on the new wealth opportunities within Australia. The British had difficulty controlling the mining in Australia, which is what led to violent protests and the beginning of Australians trying to seek independence from Great Britain. Australia became a nation in 1901, which was much later than many colonial territories. Australia became a country that had six states. Today Australia has one of the most incredible mixes of global citizens. Currently, there are more than 300 languages spoken in Australia due to the remains of the Aboriginal cultures and languages of immigrants that relocated to Australia throughout its history. WWI impacted Australia’s male population significantly. Australia had less than three million men and approximately 420,000 were volunteered to go to war. It is thought that 60,000 died and many more were injured during the war. Any solider who returned from WWI was rewarded for their service with farmland and funds. Many of these farmlands have been converted into successful wine vineyards or other agricultural businesses. However, the Great Depression that the United States faced did cause several financial institutions in Australia to collapse. It was not until WWII that the economy came back in Australia. After WWII, Australia faced an enormous immigration boom from Europe and the Middle East. At this time, Australia was welcoming women to the workforce and industrializing with factories. These jobs were quickly filled by immigrant families that were arriving to Australia at this time. As a result of the post-war industrial boom, Australia had incredible economic growth in the 1950’s and 1960’s. In terms of political views, Australia has one of the most interesting cultures in the world due to its diversity. In the 1960’s is when Australia really changed its social stance on the Vietnam War, Aboriginal rights, Healthcare, no fault divorce, and affordable university tuition. These movements also saw an increase in women’s rights for employment and equal pay. Australia embraced its multiculturalism as its strength, which is still present in Australia today. Australia truly does have one of the most welcoming immigration cultures in the world. Australia acknowledges that its unique history is only enhanced by the incredible diversity that it has as a country. Those that live in Australia will be exposed to individuals from over 200 countries in addition to established cultures with roots from 50,000 years ago. The diverse climates in Australia allow there to be fantastic food there with a British, Chinese, Indonesian, and Mediterranean influence along with a thriving wine industry that produces sensational wines sold internationally. When arriving to Australia, it is important to learn as much about the unique history as possible so that you will be able to experience Australia’s unique culture, traditions, culinary expertise, architecture, and scenic beauty, to the fullest.